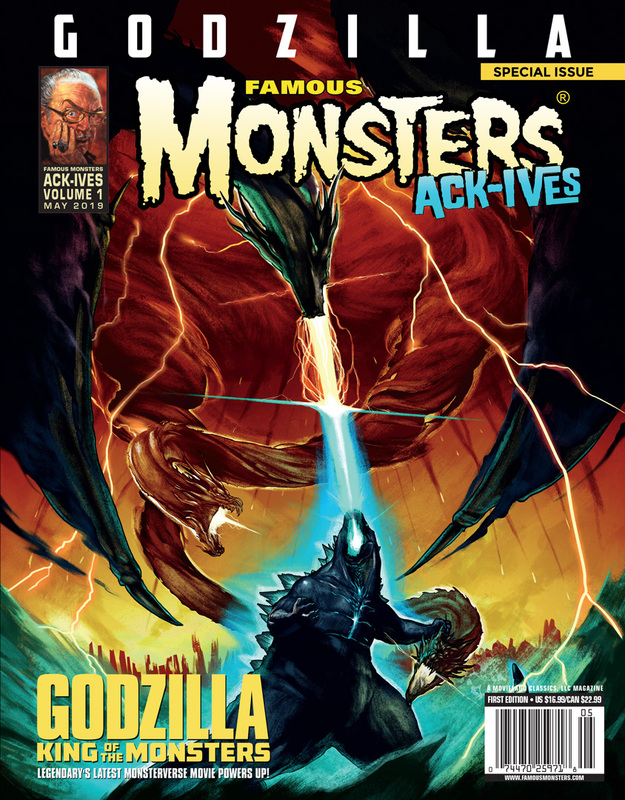 In addition to over 100 pages of long out-of-print content from Famous Monsters’ 60+ year history, Famous Monsters Ack-Ives: Godzilla also contains an up close and personal interview (sneak peek below) with GODZILLA: KING OF THE MONSTERS director Michael Dougherty. Dougherty is an admitted lifelong fan of the big green beast, and he talks to FM about what fans can expect from the movie — as well as details of his own semi-embarrassing fandom history, which may or may not involve doodling in the pages of his elementary school Bible. Check out the official cover art above, and don’t forget to go see GODZILLA: KING OF THE MONSTERS on May 31! The anticipation for Legendary’s new MonsterVerse picture GODZILLA: KING OF THE MONSTERS has reached a pointed peak and is now teetering rather gleefully over the edge. Fans all over the world are being treated to brand new posters, teaser trailers, and toy reveals, and the much-delayed release of the movie is finally on the horizon: May 31, 2019. Godzilla freaks are already marking their calendars, but with a new director on board in Michael Dougherty and three new monsters to contend with since GODZILLA (2014), what should the average monster kid be expecting? Might that give the giant green lizard some religious implications? The message seems similar that to 1954’s Gojira: a historic cataclysm come to life as a monster, terrorizing and humbling the human race. “I think the human species is overdue for a humbling,” says Dougherty. Many would agree with him. GODZILLA: KING OF THE MONSTERS opens in theaters everywhere on May 31, but you can read all about him and his foes — as well as our full interview with Michael Dougherty — in the inaugural edition of the Famous Monsters Ack-Ives, released on May 8! Drew Brockington, creator of the CatStronauts series, makes his picture book debut with a send-up of Godzilla movies that also tackles a relatable toddler topic: the crankiness that comes from an empty stomach! When a young lizard monster gets a hankering for his favorite hot dog spot, he takes the train all the way to the city--only to find that the place is closed for vacation. But when this little monster gets too hungry, he starts to get angry. And when he gets hangry, this poor city is at risk of a full-scale monster attack. As his rage swells, so does he, until he's the size of a skyscraper, and it falls to the citizens to find him some food--and fast! In a hilarious story about a hunger-induced tantrum, Drew Brockington uses speech bubbles and sight gags to bring a smile to the face of any little monster. The rumors are true, boys and ghouls and ghosts: in May 2019, Famous Monsters will debut a brand new series of print reference guides, each dedicated to a subject revered by horror and Sci-Fi fandom! These “Ack-Ives”, thus named after FM’s longtime Editor-in-Chief Forrest J Ackerman, will consist of carefully curated selections from the magazine’s 60-plus year history, from the classic “Filmbooks” to more current interviews. Each volume will boast brand new covers and at least one as yet unpublished feature, bringing monster fans up to date on a veritable smorgasbord of topics. The Ack-Ives are much more than simply reprints of old material. We will look at FM coverage through a historical lens, presenting “fun facts” and comparing dates of publication, as well as marking the debut of certain collectible items in Captain Company’s monstrous mail order back catalogue. This May, we present to you the Famous Monsters Ack-Ives: Godzilla. The choice of subject for our first volume was a no-brainer. Godzilla has dominated the pages of Famous Monsters since his first appearance in Issue 30 back in 1964 (“Giants from Japan”). 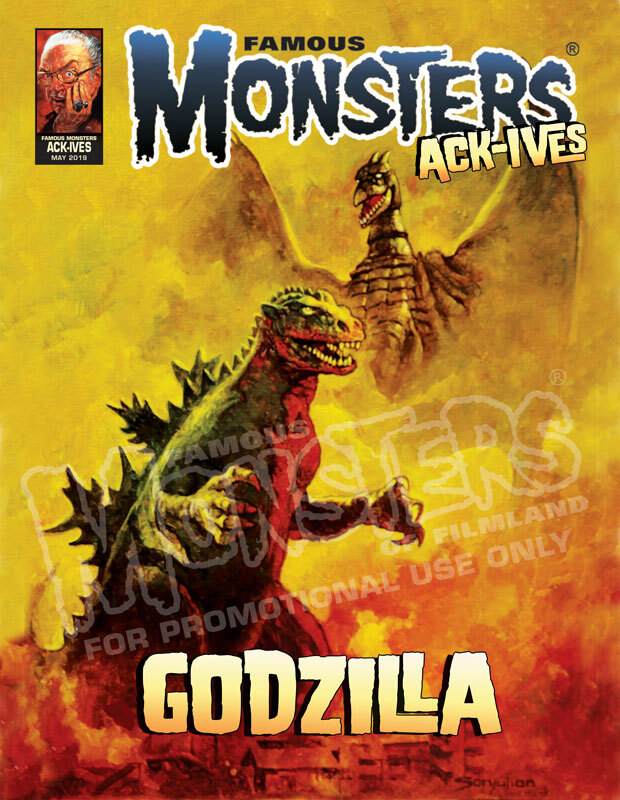 Famous Monsters Ack-Ives: Godzilla includes over 100 pages of essential Godzilla coverage from FM’s archives, as well as an exclusive new interview with Michael Dougherty, the director of Legendary’s landmark MonsterVerse picture GODZILLA: KING OF THE MONSTERS. For the first cover, we asked our maestro Sanjulian to paint his own interpretation of the original cover to Issue 114, which was FM’s first all-Japanese monsters issue, and features Godzilla and Rodan destroying a city. Rodan has a rather prominent role in the upcoming KING OF THE MONSTERS movie, and Michael Dougherty had some pointed things to say about his loyalties and popularity in our new interview! Forthcoming editions of the Ack-Ives promise retrospectives on all manners of beasties, from black and white classics to color-drenched gore. We’ve got plans, dearies. Oh so many plans. Sign up to be notified when FAMOUS MONSTER ACK-IVES: GODZILLA is available for pre-order here! 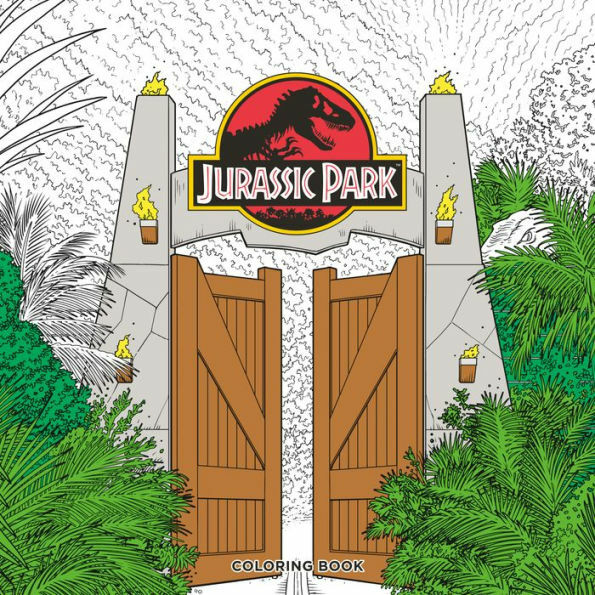 MILWAUKIE, Ore., (July 24, 2018)—With the 25th Anniversary of Jurassic Park opening in theaters and the recent release of Jurassic World: Fallen Kingdom, Dark Horse is excited to join in the evolution of one of the world’s most beloved franchises with two new coloring books! ​Both are 10" x 10", 96 pages, and retail for $14.99. KING KONG of SKULL ISLAND is a large format, illustrated novel that explores the history of the Kongs and the culture on Skull Island. Welcome to the King Kong of Skull Island project. This is for all those with an irrepressible love of art, King Kong, dinosaurs, ancient civilizations, assorted monsters, real and speculative science plus fiction, action, adventure, and other assorted knick knacks of imagination. With your help, this Kickstarter will delve deeper into the mysteries surrounding King Kong and Skull Island than ever before. 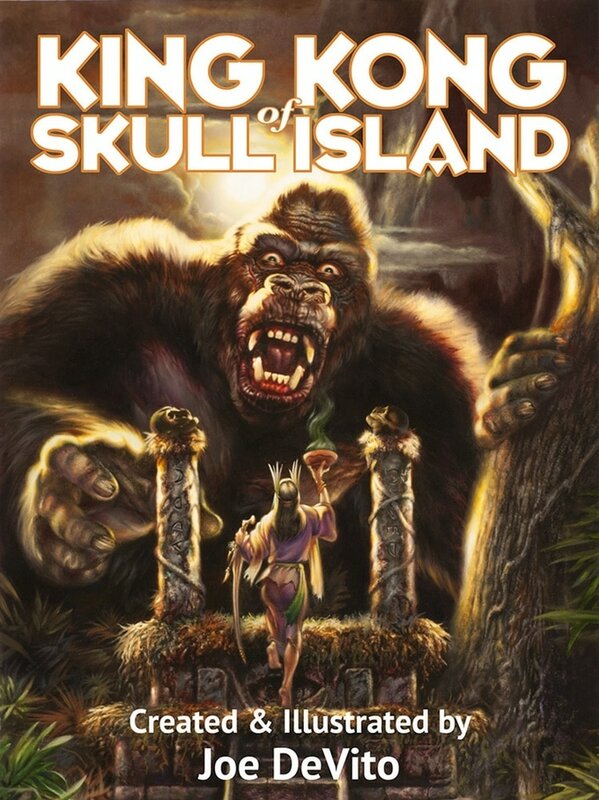 King Kong of Skull Island contains the long awaited expansion of Joe’s original 1992 creation, Skull Island. King Kong of Skull Island will open with The Denham Diaries, which will be followed by a novel in two parts: Part 1: Exodus and Part 2: The Wall, all co-written by Joe DeVito and Brad Strickland. The book will feature lush, full color interior art and an extensive sketchbook section written and lavishly illustrated by DeVito. 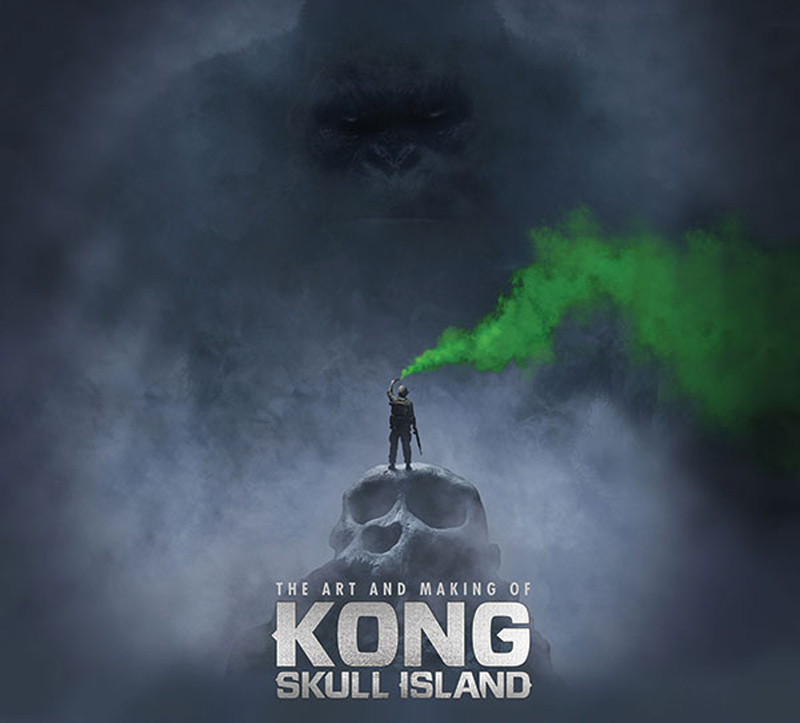 Creating the original Skull Island and its ancillary work, The History of Skull Island, brought into play a life-long fascination with everything King Kong. 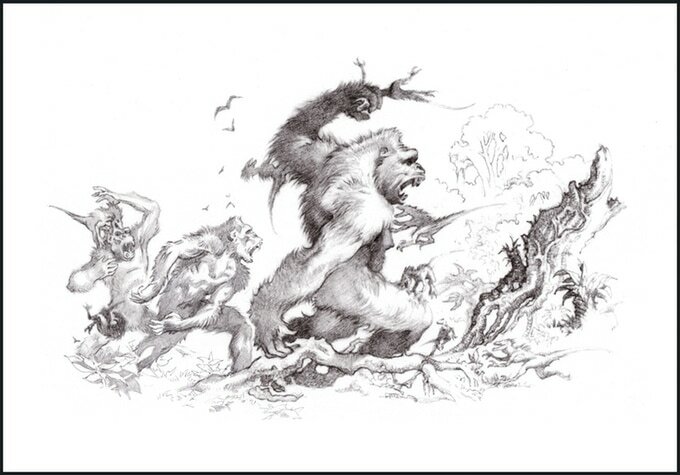 Conceived with the full support of Kong creator Merian C. Cooper’s family, these represented the first true expansions of the King Kong mythos since the creation of Kong himself–not only of King Kong, but of all the Kongs who came before him, as well as the forgotten human civilization that came to occupy Skull Island millennia before. The new novel, the accompanying Denham Diaries, sketchbook text, drawings and details contained in this new King Kong of Skull Island book cover the entire ground-breaking Skull Island creation and exponentially expands upon it. 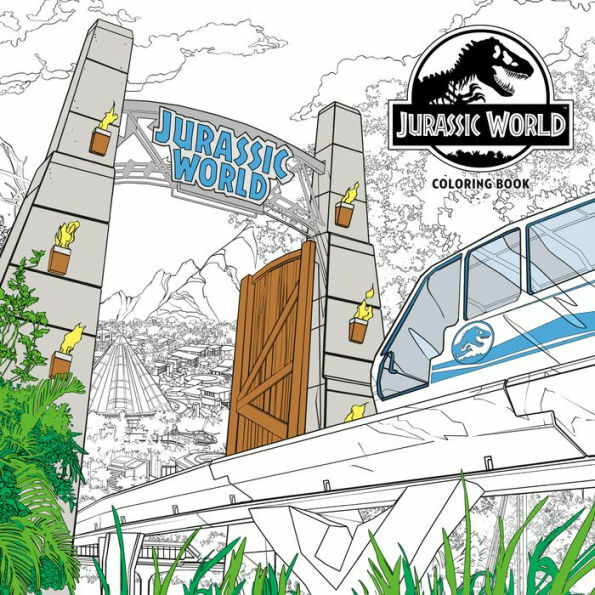 It goes on to explore the continued saurian evolution and adaptation that took place on the island over the 65 million years following the mass extinction of the dinosaurs. 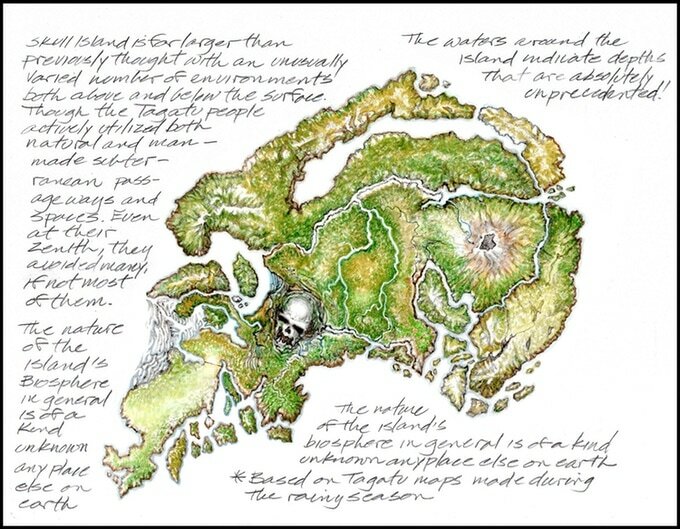 King Kong of Skull Island uncovers the origins of both the mighty Kongs and the Tagatu civilization, while digging deep into the very foundations of Skull Island itself. Woven throughout the entire tapestry of the stories are unusual scientific facts and theories to add verisimilitude. Each book comes with a numbered bookplate exclusive to this edition that is signed by the authors. 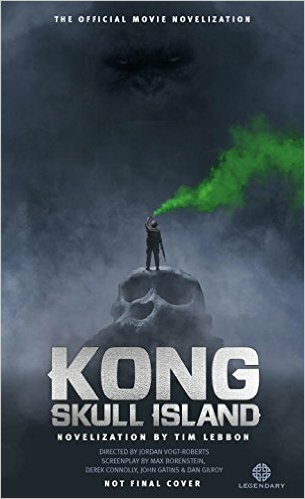 In development for 25 years, King Kong of Skull Island features a 95,000 word novel in two parts. Part 2: THE WALL tells the incredible story of what happened on Skull Island after the arrival there of the first human civilization, their interaction with the prehistoric Kongs, and the war for species survival against the island’s strange saurian denizens. Life there has not stood still, but continued to evolve for tens of millions of years to a point where humans may no longer be dominant. 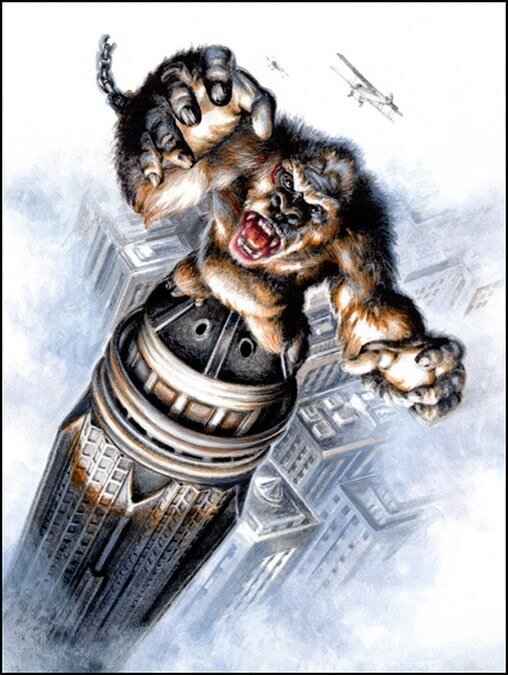 The inevitable, penultimate war for survival between humans, Kongs and super-saurians takes place against the backdrop of the massive undertaking of the building of the iconic Wall: A barrier that will span the millennia to play a major role in the eventual rise and fall of the mythic beast-god of Skull Island, King Kong! King Kong of Skull Island also contains the 30,000 word Denham Diaries, a retelling of DeVito’s original Skull Island story that reveals the fate of Carl Denham in the wake of King Kong’s death, recounts the epic adventure of how Kong became a King, and determines the fate of the Tagatu people. Along the way many mysteries of Skull Island are uncovered, effectively making the island a character in its own right. 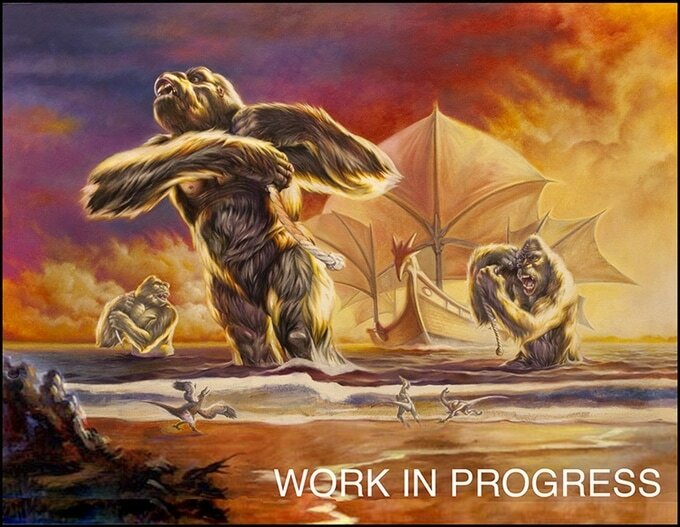 The book will also feature an extensive, lavishly illustrated sketchbook section of over 25,000 words by DeVito that digs into the foundations of Skull Island as never before, as well as a lush, full–color Kong/Skull Island art gallery! 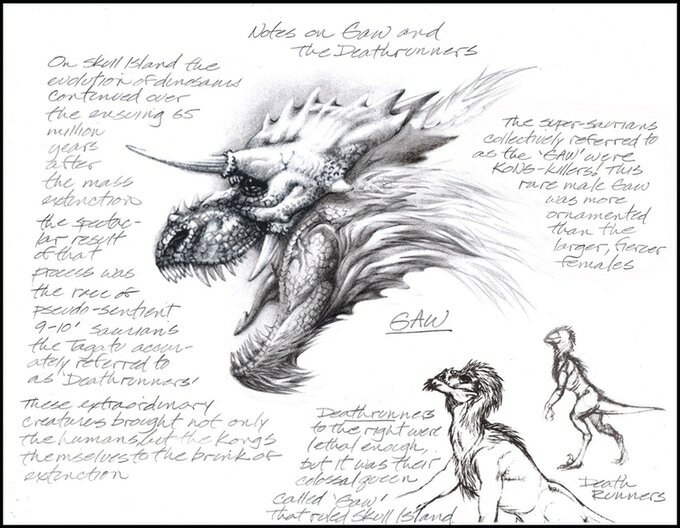 Click here to pledge today to get your copy of this exciting and soon to be rare book! Cinefex looks at the effects work on some of the most-anticipated films of 2017. In Kong: Skull Island the super-sized simian lives again in Warner Bros. Pictures' 1970s-era reimagining of Merian C. Cooper and Ernest B. Schoedsack's 1933 fable, King Kong. Director Gore Verbinski weaves a sinister tale in A Cure for Wellness, about a young executive who travels to a remote location in the Swiss Alps seeking his employer who is interned at a mysterious sanitarium. Matt Damon stars in The Great Wall, a story about ancient mysteries surrounding the building of the Great Wall of China, in the most expensive film ever produced in China. Finally, Wolverine returns in James Mangold's Logan, pitting the aging mutant character against an evil organization. 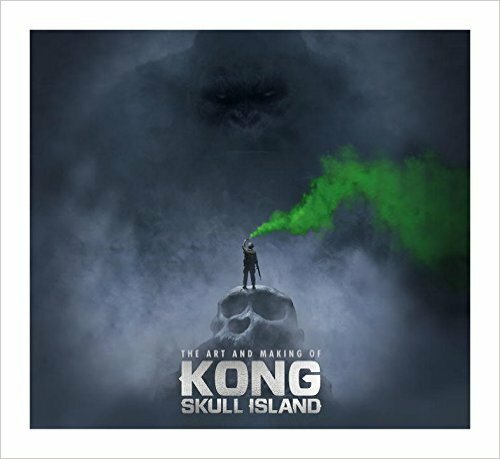 In the latest Previews catalog the solicit for The Art And Making Of Kong: Skull Island reveals a few shots of the art including Kong battling a Skullcrawler. While this doesn't mean they will fight, chances are they will. The book is scheduled to be released around the same time as the film. When a scientific expedition to an uncharted island awakens titanic forces of nature, a mission of discovery becomes an explosive war between monster and man. Tom Hiddleston, Samuel L. Jackson, Brie Larson, John Goodman, and John C. Reilly star in a thrilling and original new adventure that reveals the untold story of how Kong became King. The Art and Making of Kong: Skull Island goes behind the scenes and reveals how this monster-sized production was brought to the screen. 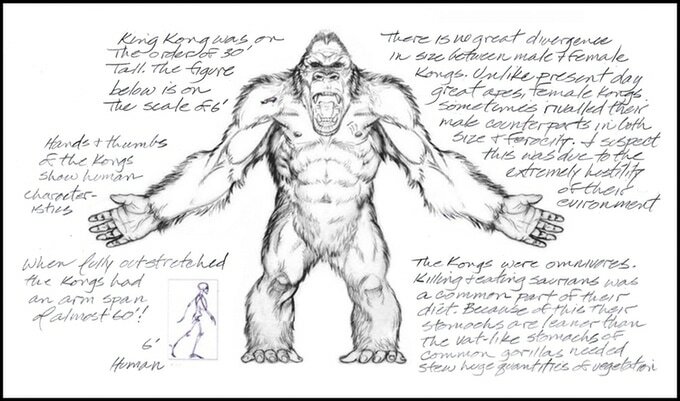 Featuring incredible concept art and on-set photography, this deluxe book is a rare treat for fans as key cast and crew tell the story of how Kong was given a whole new lease of life. 2017 LEGENDARY. ALL RIGHTS RESERVED. Ten years after a deep space transmission was broadcast from a futuristic citadel hidden in the Arctic ice, Jon Hudson finds himself in a position beyond comprehension. His days of lazy Sasquatch hunting on behalf of the DHS’s Fusion Center—Paranormal (FC-P) have been a fading memory since the appearance of Nemesis, the goddess of vengeance, reborn through genetic tinkering. Now he longs for those quiet days once more. Facing down giant kaiju has become almost commonplace for Hudson and the FC-P, who he regards as his family, but the threat now facing them is global. An alien race known as the Aeros, summoned to Earth ten years ago, have arrived in orbit, hell bent on destroying their ancient enemy, the Ferox, along with all of humanity…in all dimensions of reality. Facing off against an invasion of city-destroying kaiju, a massive mothership and an assault in a parallel world, Hudson must bolster the FC-P’s ranks. Joined by Milos ‘Cowboy’ Vesely, Hudson must journey through alternate dimensions to gather a one-of-a-kind legion of defenders, including a smart-mouthed soldier, a woman who can animate the lifeless, a time traveler, a robot-man, a powerful king and an assassin who can slip between frequencies of reality. 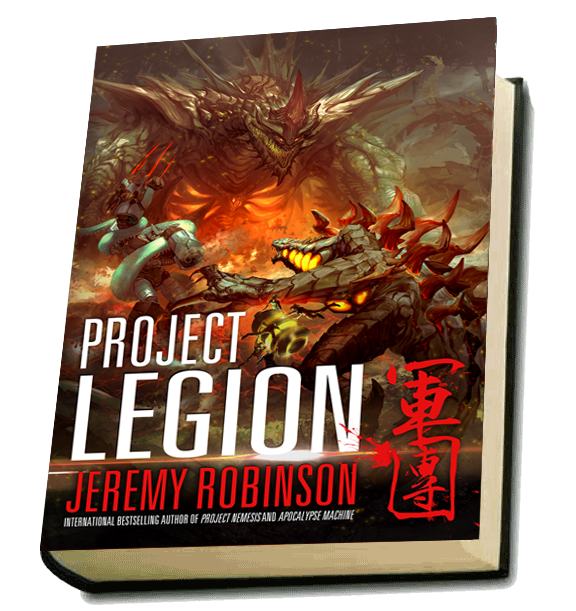 With Project Legion, Jeremy Robinson has created an epic series finale, bringing together characters and plot elements from more than a dozen different novels and series. The result is a crossover novel, ten years in the making, the likes of which have never been seen outside of comic books and movies like Captain America – Civil War. Project Legion is an apocalyptic end to the first story arc of the bestselling kaiju-thriller series: The Nemesis Saga. Note: Novels whose characters or plot elements are featured in Project Legion include: The Nemesis Saga, Island 731, The Didymus Contingency, Raising the Past, Nazi Hunter: Atlantis, The Last Hunter (The Antarktos Saga), Xom-B (aka: Uprising), the Jack Sigler Thrillers and MirrorWorld. Also mentioned are elements from the following novels: Refuge, Kronos and Beneath. Although reading all these novels is NOT a prerequisite for enjoying Project Legion, they will help flesh out the included characters. Amazon order link at right. In March 2017, the producers of ‘Godzilla’ transport audiences to the birthplace of one of the most powerful monster myths of all in KONG: SKULL ISLAND, from Warner Bros. Pictures and Legendary Pictures. 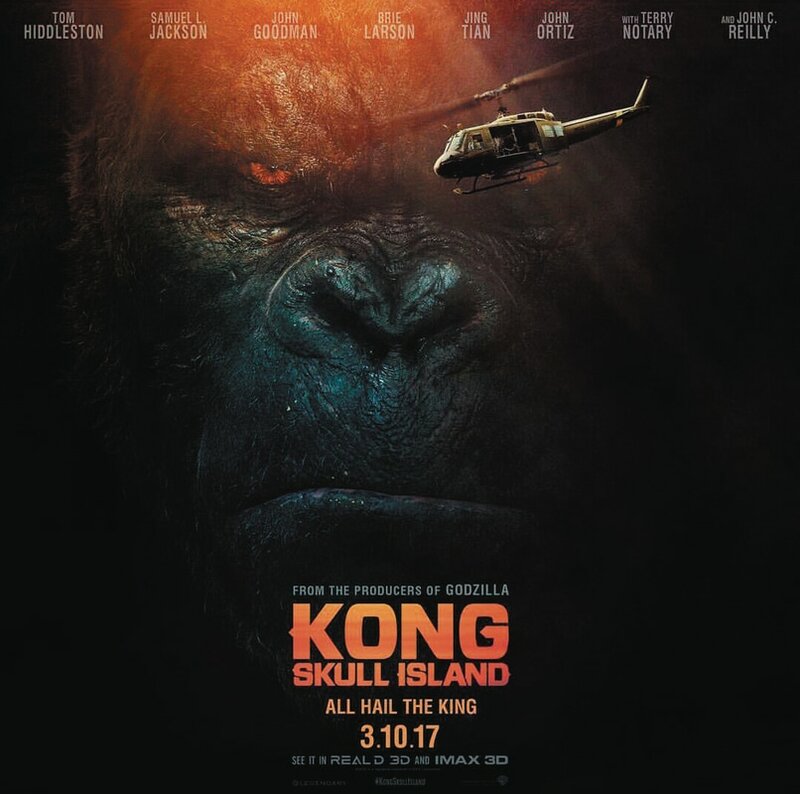 ​Tom Hiddleston, Samuel L. Jackson, Brie Larson, John Goodman and John C. Reilly star in a thrilling and original new adventure that reveals the untold story of how Kong became King.